Clearing Storm – Cimarron Ridge - Together, We Make Memories! 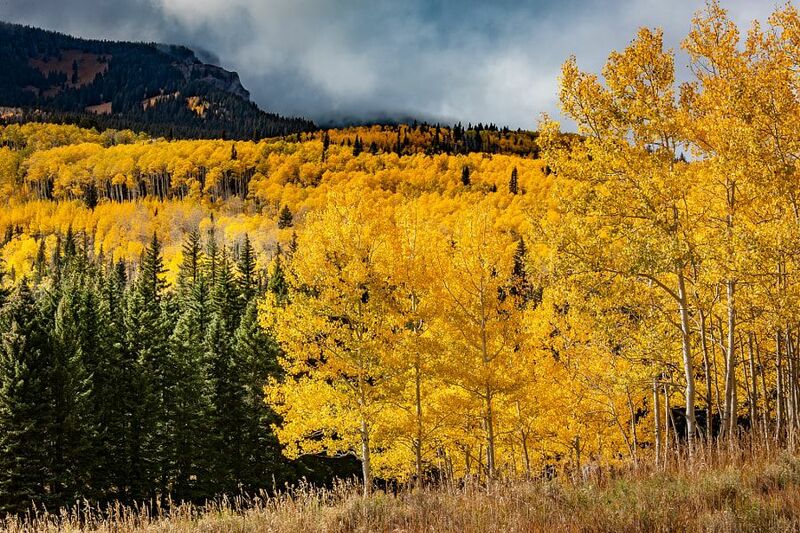 Here near Cimarron ridge in the high country of Colorado, Mother Nature shows off her fall colors, which can easily be swept away at moment’s notice by an early winter storm, high winds or hail. I’s truly a precious window to catch early morning light as a storm clears and the colors seem to dance across the landscape. This fine art image by Pat Kofahl is available in multiple sizes on paper, canvas, metal and plexiglass. Prices start at $49.00!